As the learning environment in schools is getting more interactive and lively, Winmate launches its first Digital Writing Pad. 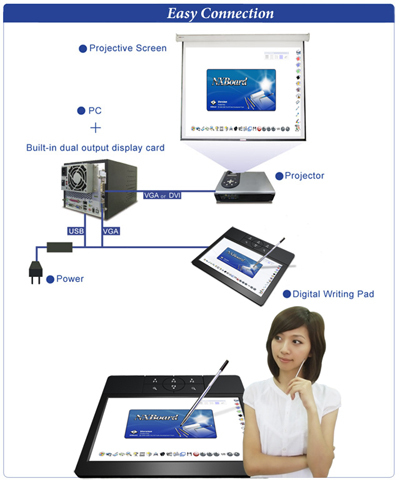 The Winmate Digital Writing Pad integrates a 10.1" LCD with writing pad technology, which is designed for the teaching environment. 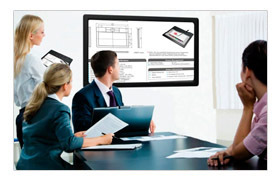 You can instantly present, through a projector or second display, what you just wrote on the digital writing pad as well as easily make marks and comments on digital files, enabling you to interact with your students and improve your teaching quality which renews the traditional teaching methods. Furthermore, the compact and slim design is a light weight for decreasing the load of your hand when holding the writing pad. Different from other products in the market, Winmate Digital Writing Pad is embedded with 10.1" widescreen display that is user friendly and requires no practice before operating. 1.5cm Ultra-slim design allows you to work directly on the Digital Writing Pad, easy as writing on a paper. 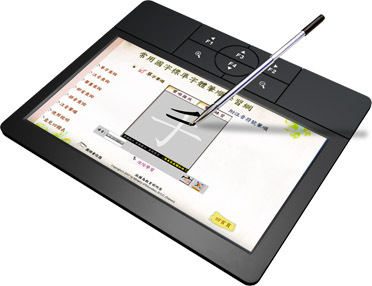 Taking the place of traditional mouse, the writing stylus efficiently reduces injuries caused by using mouse constantly. Through the second display you can also show the content simultaneously while you are teaching and writing. The functions of Zoom in/out are built in on the touch pad and 4 hot tabs where you can set a short cut for any functions according to your specific demands. 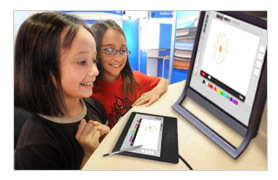 Through Winmate Digital Writing Pad, children can learn and be creative in the most natural and intuitive way. Replacing the mouse with handwriting. Making marks and comments on Digital Writing Pad directly makes teaching more lively and gains student's attention. 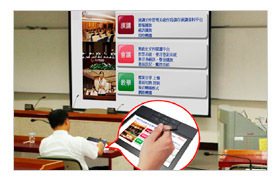 Discards the inconvenience of operating traditional presentation, through the digital writing pad, the audience easily see what you wrote simultaneously by watching the content shown on the projective screen.